Kiss Me, Kate. 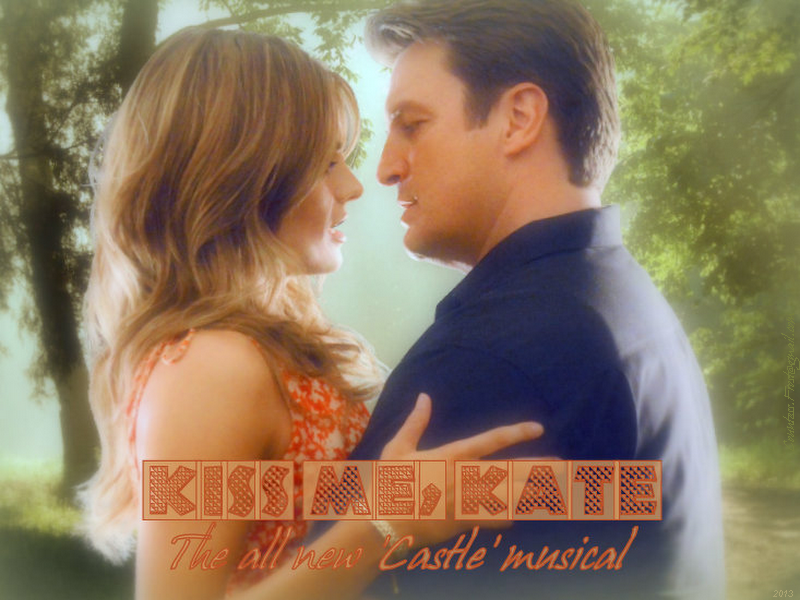 'Kiss Me, Kate' - a پیپر وال created سے طرف کی me (TheCountess) featuring Richard قلعہ (Nathan Fillion) & Kate Beckett (Stana Katic) of the TV series 'Castle' / jigsaw puzzle at:. HD Wallpaper and background images in the قلعہ club tagged: castle tv series richard castle nathan fillion kate beckett stana katic fake advertisement fan art wallpaper thecountess online jigsaw puzzle. This قلعہ wallpaper contains پورٹریٹ, آرچر, closeup, تصویر, and ہیڈشوٹ. Amazing wallpaper!Everything here is perfect! Since doing a musical episode is becoming more common on TV shows, and Nathan isn't exactly a stranger to it, I thought I'd create a fake ad for one on Castle. 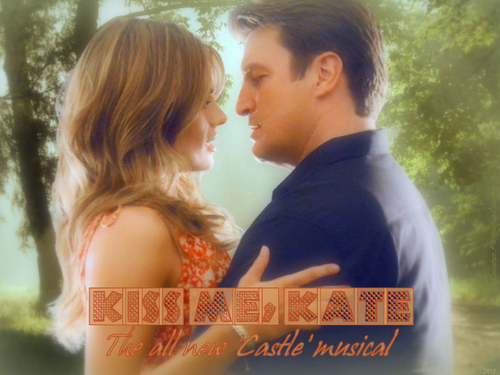 Besides that, I'm pretty sure that 'Kiss Me, Kate' is the name of a real musical ...and we do have Kate. You never know - the creators might surprise us! ...lol! wow. I am really speechless and it is the best artwork I have ever seen and you made a such wonderful job dear Sharon :):):):). Can't wait to see your next work..